Villa Aggeliki Family Friendly, Pet Friendly Close To The Beach And To Town. Property 3: Villa Aggeliki Family Friendly, Pet Friendly Close To The Beach And To Town. Authentic old sheepfold totally renewed, outside a village. Nice valley view. Property 4: Authentic old sheepfold totally renewed, outside a village. Nice valley view. 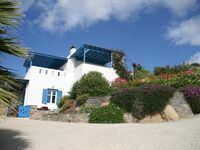 Property 8: Beautiful family villa, superb views, 5 minutes walk to the beach. Villa Sorella, for carefree and sunlit vacations! Property 24: Villa Sorella, for carefree and sunlit vacations! A beautiful 2 bedroom home in the old town of Naxos (Chora). 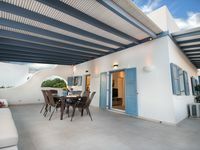 Property 27: A beautiful 2 bedroom home in the old town of Naxos (Chora). Breathtaking sunset, salt lake and Aegean sea view. 150m from magnificent beach. Property 30: Breathtaking sunset, salt lake and Aegean sea view. 150m from magnificent beach. Walk to Alyko beach, beautiful garden and peaceful setting. Property 33: Walk to Alyko beach, beautiful garden and peaceful setting. Cyano Suites offers views over the Aegean Sea and the Temple of Apollo. Property 43: Cyano Suites offers views over the Aegean Sea and the Temple of Apollo. Very much appreciated our 3 night stay in George&rsquo;s updated clean home in Naxos. We walked right off the ferry to it in 5 mins. Nice and clean, comfy beds and linens. He had someone there to let us in and take us to airport when we left. Communication with him was great. Highly recommend and I plan to return. A wonderful villa and great place to base a week in Naxos from. Would highly recommend!